The controversial death of Singapore Airlines flight attendant Vanessa Yeap has sparked widespread complaints from employees across Singapore about ‘unfair’ medical leave systems. Port operators PSA Singapore employees have claimed that they get demerit points when they rack up eight MCs from private doctors, resulting in lower incentive payouts. “Most of us just accept it. We are afraid we will be 'marked' and don't know who to go to for help,” said one employee to The Straits Times. A PSA spokesperson countered the claim and said that the company has “measures in place to prevent the abuse of the medical leave system” and added that they are slowly phasing out doling disciplinary action from poor attendance and choosing instead to encourage a healthy lifestyle. Rather than penalising their employees, some employers have offered incentives for employees who don’t take their medical leave. One restaurant offers a $500 dining voucher as a reward while the Royal Plaza on Scotts give a $500 bonus for a perfect attendance. 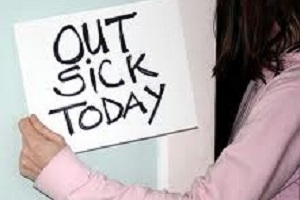 However, Desmond Choo, director of the youth development unit at the National Trades Union Congress (NTUC) said that while it may stem from good intentions, offering incentives could lead to workers coming in sick. “Singaporean workers are by and large hardworking, with a deep and strong sense of duty. Many choose to work without medical leave, even if no disincentives are in place,” he said. "Some employers use the cost savings to reward the employees, and there are those who use points during appraisals as incentives. The key is that the employers must be clear to position any health- related reward scheme as an incentive, and never as a penalty," advised Linda Teo, country manager of ManpowerGroup Singapore. Teo further added that the “weightage on medical leave record during performance appraisals usually constitutes a very small percentage” and that a good performance appraisal should consider the employee’s work performance, contributions and attitudes more.